Nectar Fortress™ is an ant-repelling clear gel. 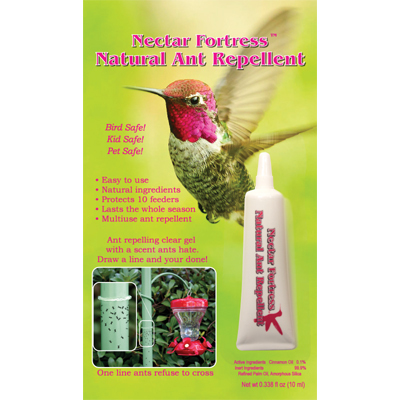 Simply draw a line of Nectar Fortress gel across any paths ants might use to get to your feeder. Made from food-based ingredients, it repels ants, but is safe for use around children, birds, and pets. It takes less than 1/8 of a teaspoon per feeder to control ants! It is also weatherproof so one application lasts the whole season. It can be used for protecting any outdoor area from ants, such as patio tables, bluebird houses, beehives, and hanging plants. It's one line ants refuse to cross! It is not sticky, tacky, or adhesive in any way. It is made entirely from food-based materials. Nectar Fortress is made almost entirely of a fatty acid, which birds naturally secrete to preen and condition their feathers. Oleic acid, also called omega-9, is one of the major fatty acids secreted from a bird's preeening gland (uropygial gland). In the unlikely event a bird were to come in contact with the product, it is part of what birds already use to condition their feathers. I have a bad ant issue with my feeders. This has cut down the number I find floating in the food, but does not eliminate them. Maybe they're like squirrels & can't be truly controlled. Need to reapply every day or 2; gel dries out in the sun & seems to stop working all together. This arrived, somewhat belatedly, just in time for the outward migration of the hummingbirds. 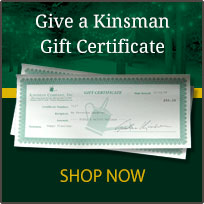 Will give it a go next year, so stay tuned! Meantime, I will give it 3 stars.